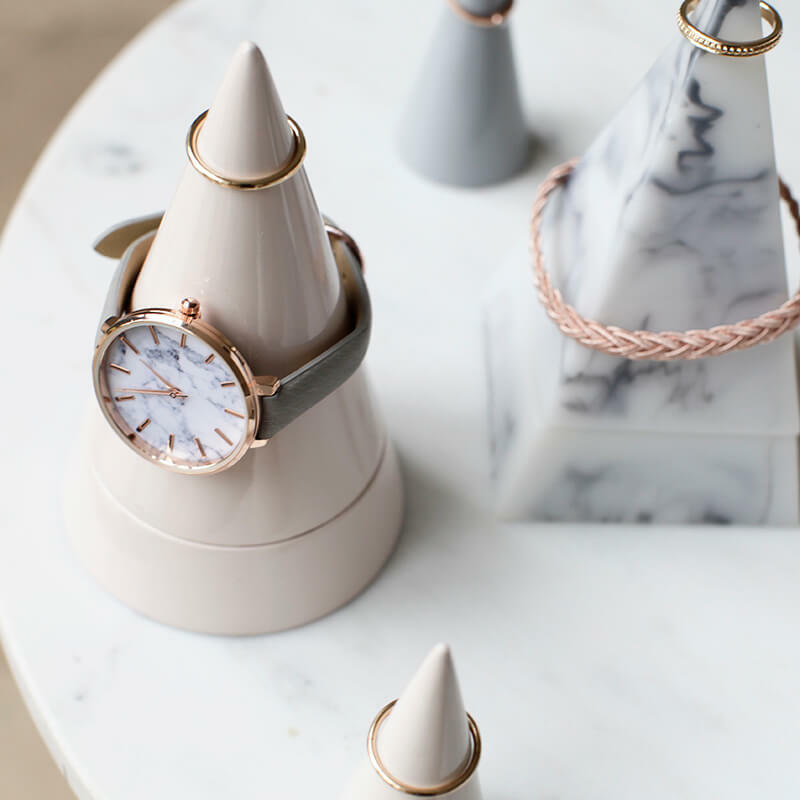 We are so excited to finally be showing you our beautiful new collection of Peaks. 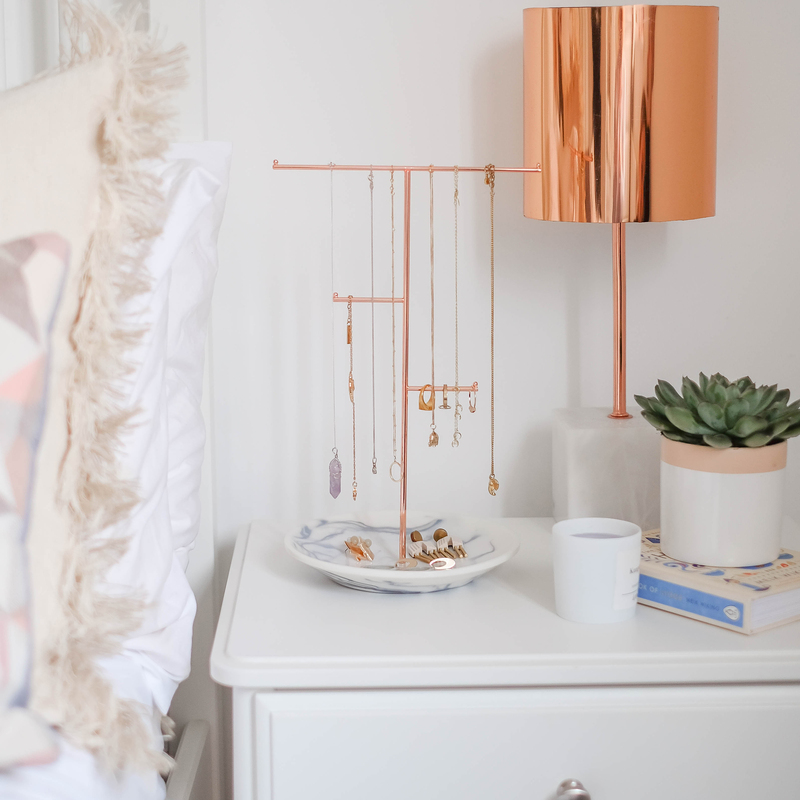 These are perfect for popping next to your bed, sink, at your desk or where you ever you find yourself taking off your jewellery. 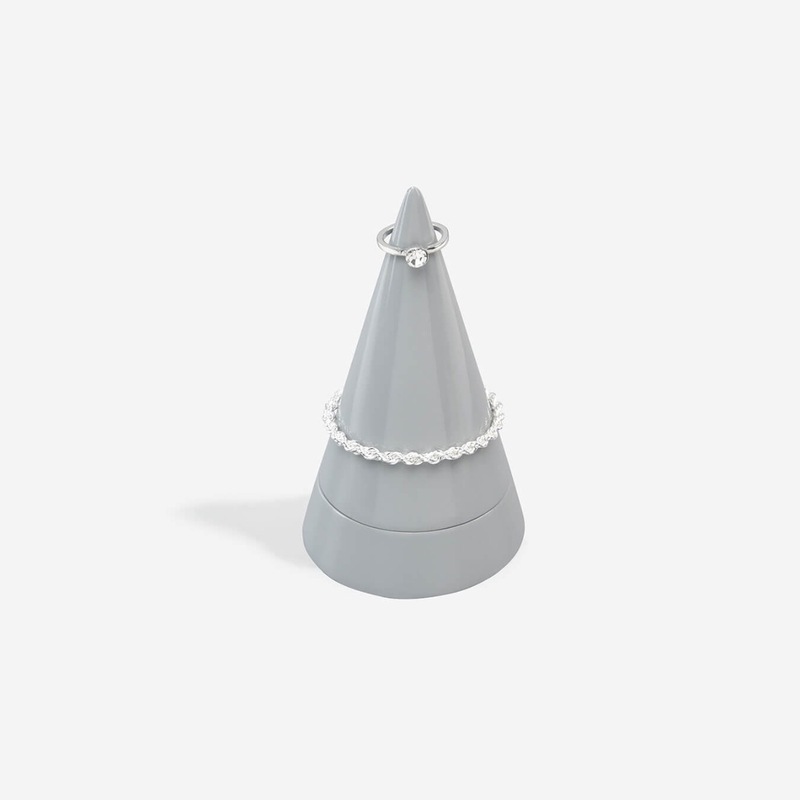 These are available in two sizes -small and large, two shapes – cone and pyramid and 7 colours. 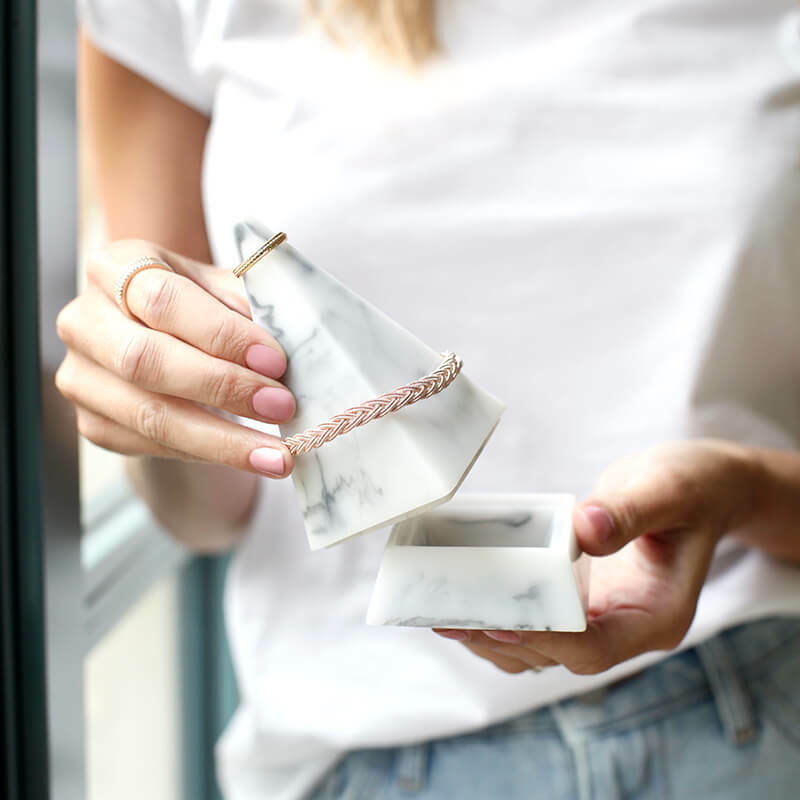 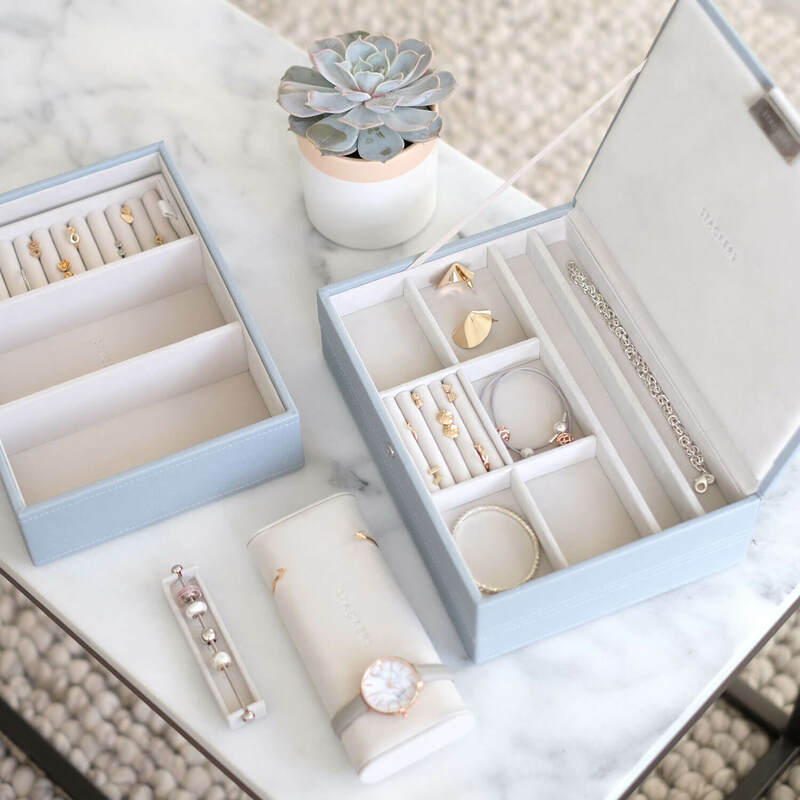 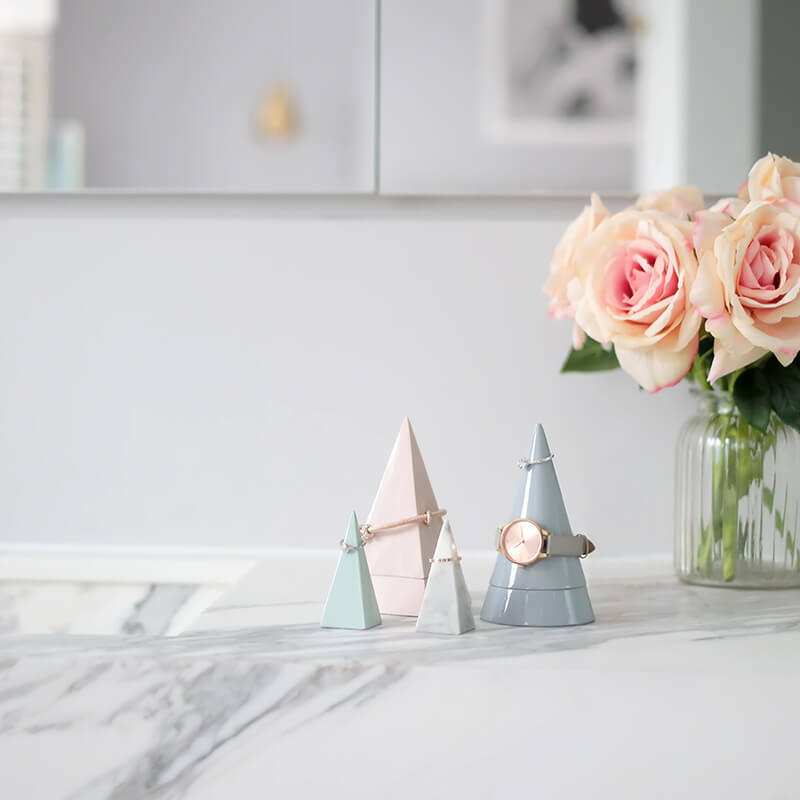 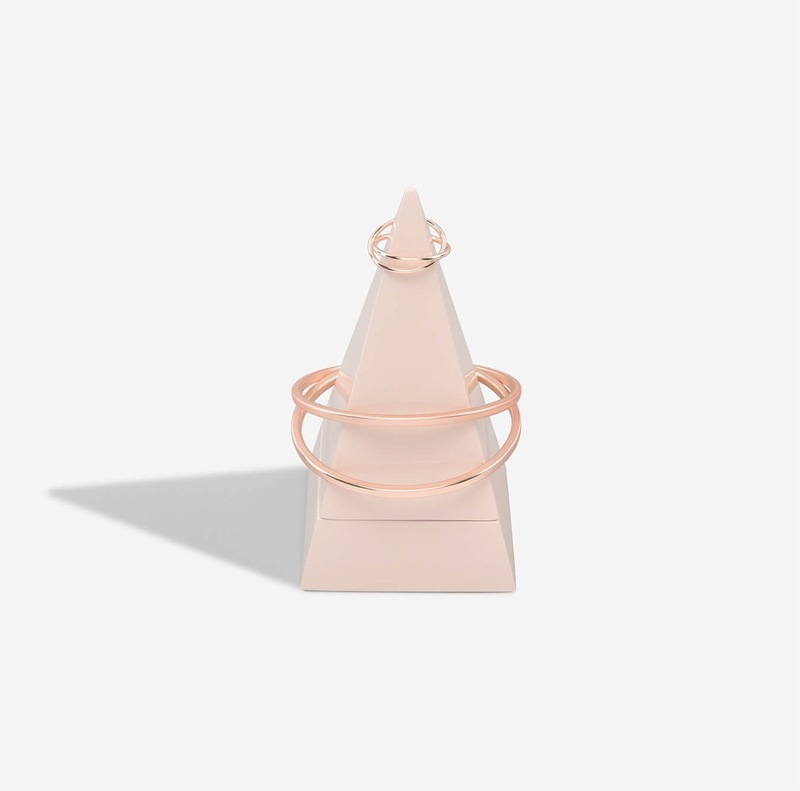 The large cones and pyramids are in two parts, meaning you can hide your trinkets inside while displaying your watches, bracelets and rings on the outside. 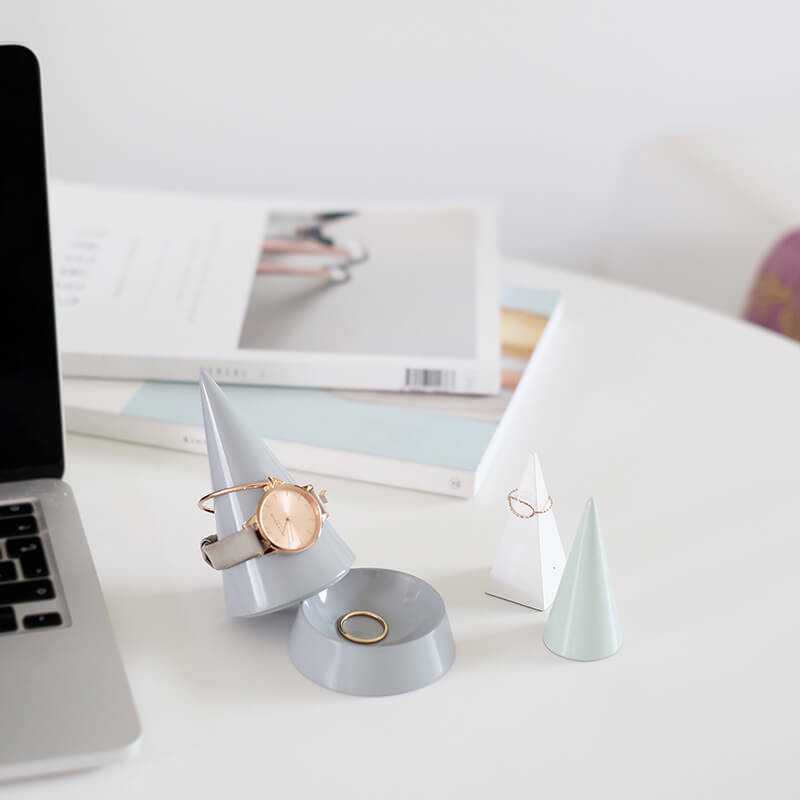 The smaller ones are perfect for your small rings and look so cute displayed alongside the large Peaks.